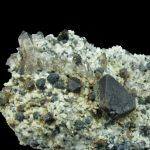 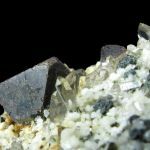 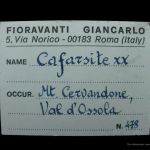 These matrix Cafarsites are fine examples of rare alpine minerals from the Piedmont region of Italy, near the Swiss border. 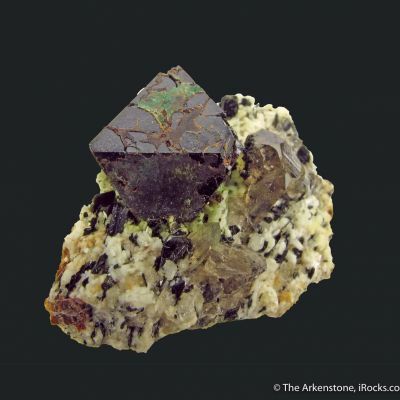 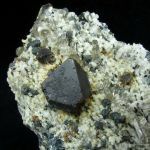 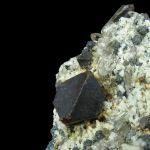 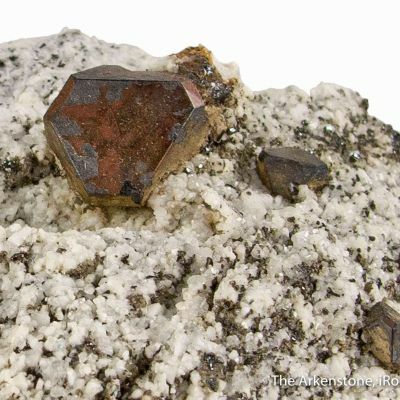 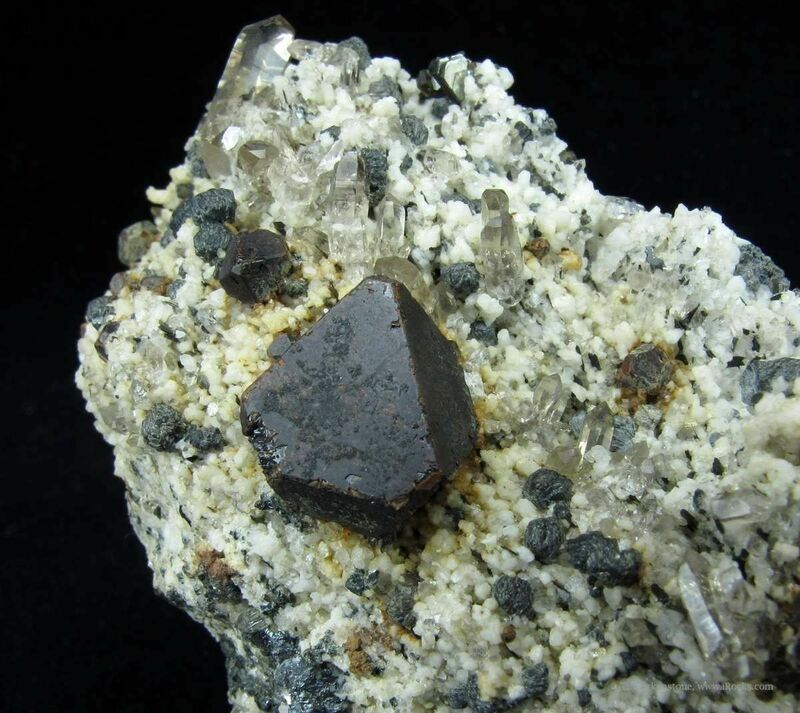 Cafarsite is a complex arsenate, rarely seen in the world, and these reddish-brown, lustrous octahedrons (tips modified by the cube) are interspersed with gemmy Quartz crystals on weathered granitic matrix. 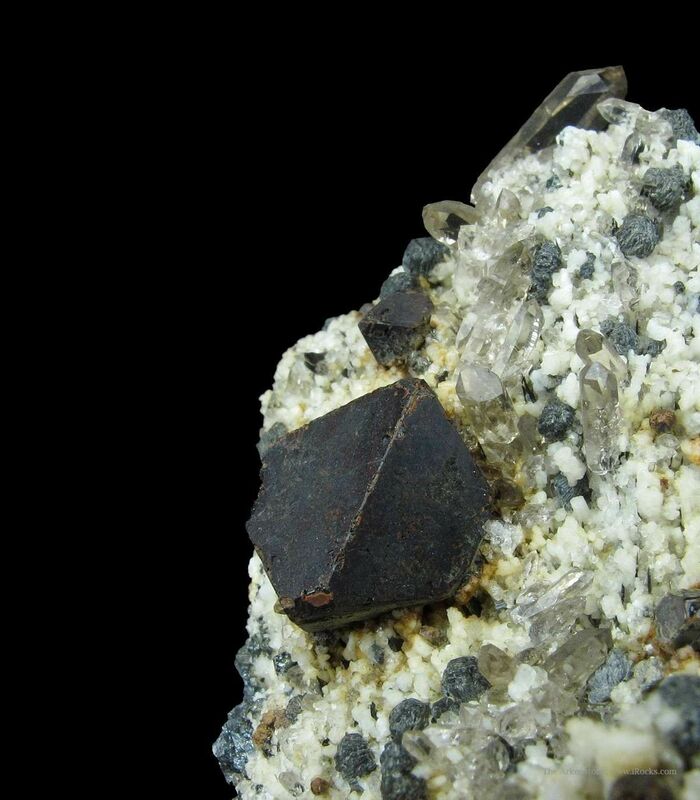 The largest crystal measures right at 1.0 cm on edge. 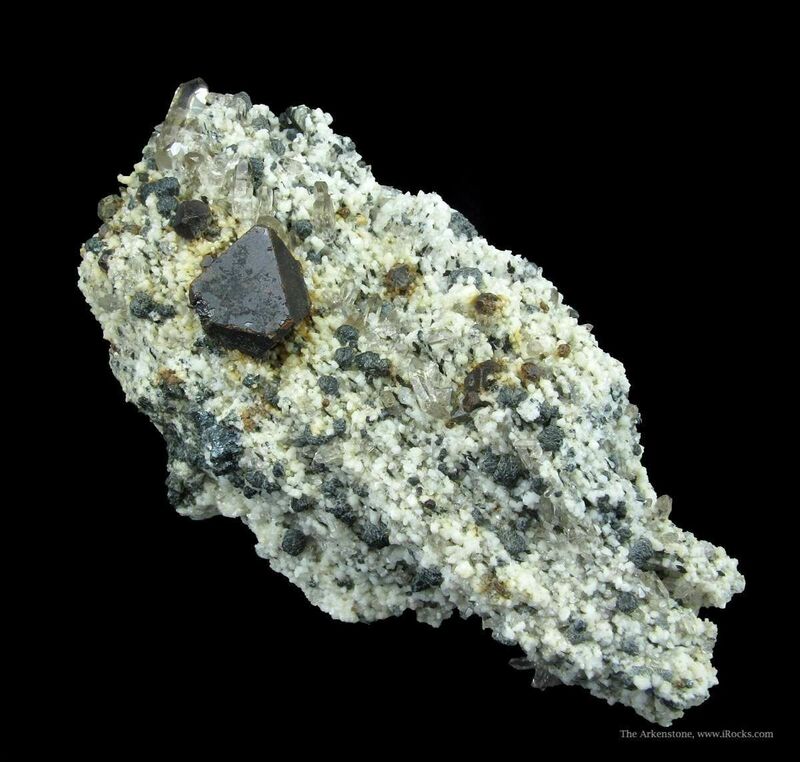 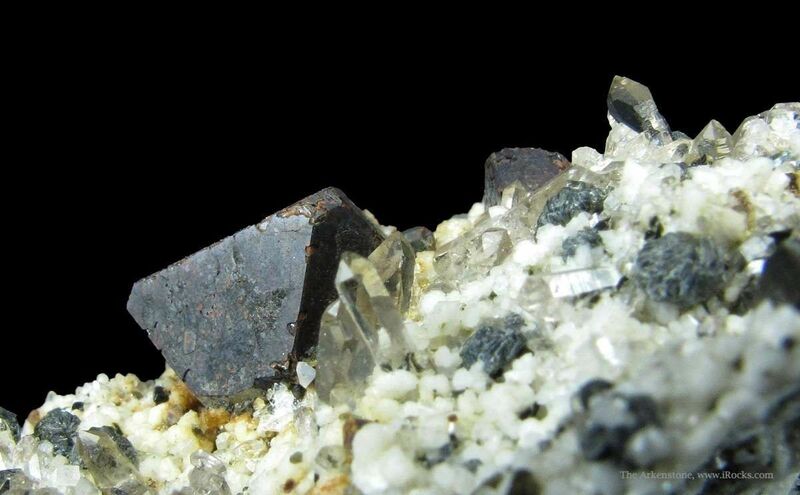 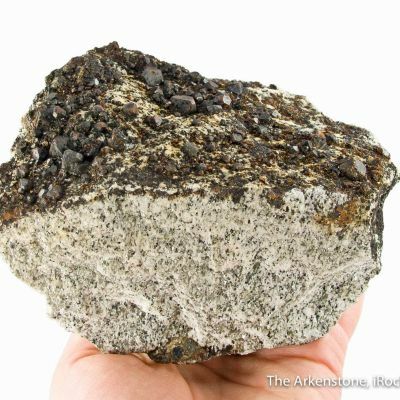 The Type Locality for Cafarsite is also on Mt. 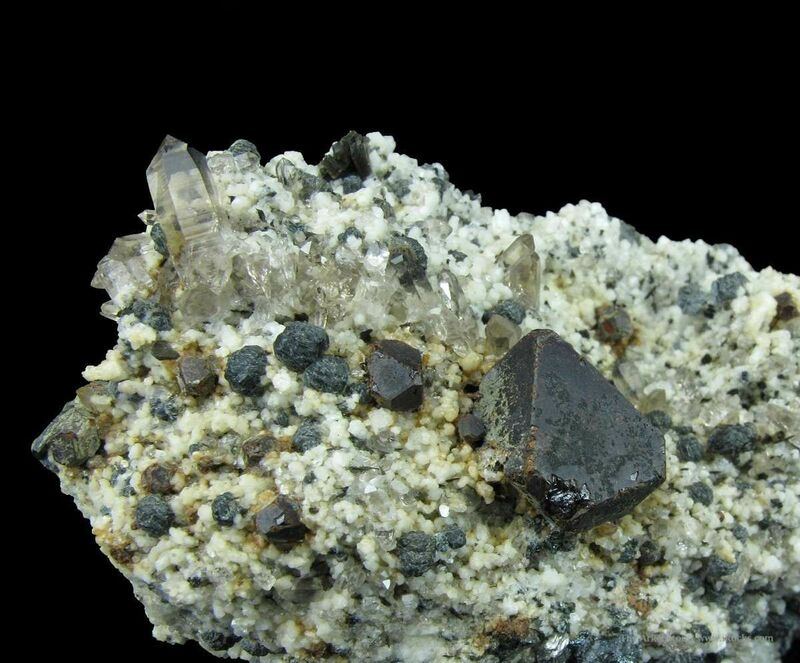 Cervandone, just across the Swiss border (though one would think it is the same deposit, that yields the crystals). 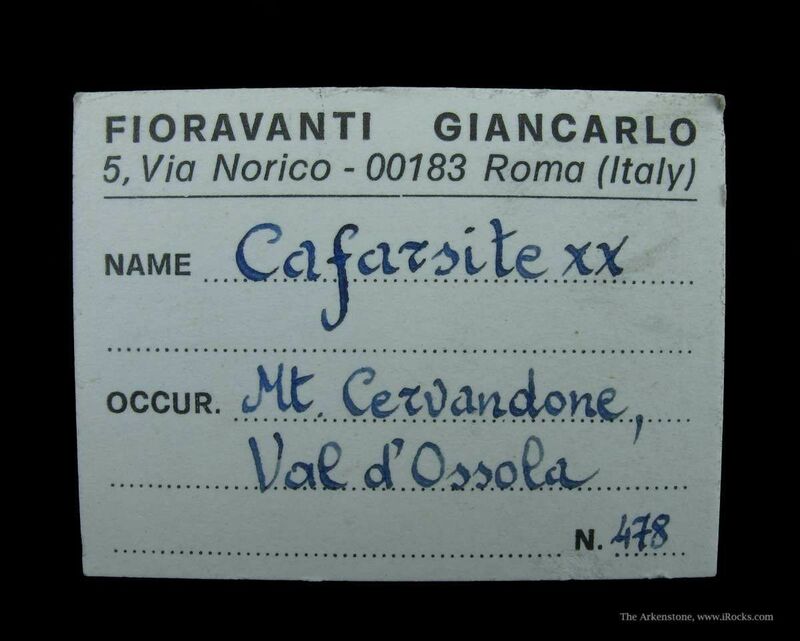 Overall, an excellent specimen!